Recognized from her roles on Survivor, The View, and FOX & Friends, celebrity Elisabeth Hasselbeck presents a deeply intimate journey of faith, told through the important moments in her life. "Point of view," by definition, is a particular attitude or way of considering a matter. Through her nearly two decades of broadcasting, Elisabeth learned the necessity of extracting the point of view of the person being interviewed on a particular topic or subject or experience. Doing so allows you to see issues and truths through another's eyes. It requires a shift in perspective to see the story through their lens. 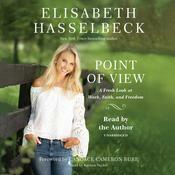 In this illuminating book, Elisabeth walks through the times--from her national celebrity days to her newest role as CBO (Chief Breakfast Officer)--where she saw something differently than how God wanted her to, and the path back to His point of view was sometimes rocky but always revealing. Sometimes God's intentions for her were clear, yet other times she encountered situations so uncomfortable and blurry that she could only ask for His wisdom. 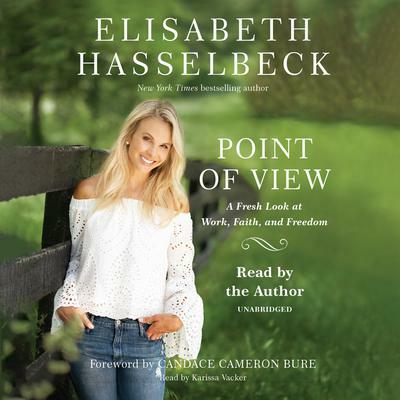 In this book, Elisabeth welcomes you into the many different, and often divergent, points of view that she has witnessed and learned from along the way. It is a journey that brought her to the ultimate point of view that she discovered in the Word of God--that until she sees herself as He sees her, she is not seeing at all. As you read through the pages here, she invites you to make the same discovery for yourself. Elisabeth Hasselbeck was formerly known to television audiences as a participant on the second edition of Survivor: The Australian Outback. Since joining The View in 2003, she has been the focus of major magazine covers and articles, including People, Fitness, Glamour, and Us Weekly. She has filled in on the Fox News Channel’s Fox and Friends and has been a guest on Hannity and Colmes, Larry King Live, The Late Show with David Letterman, and Good Morning America, among others.